In this tab, the user should fill in the details of the task, according to the information fields. 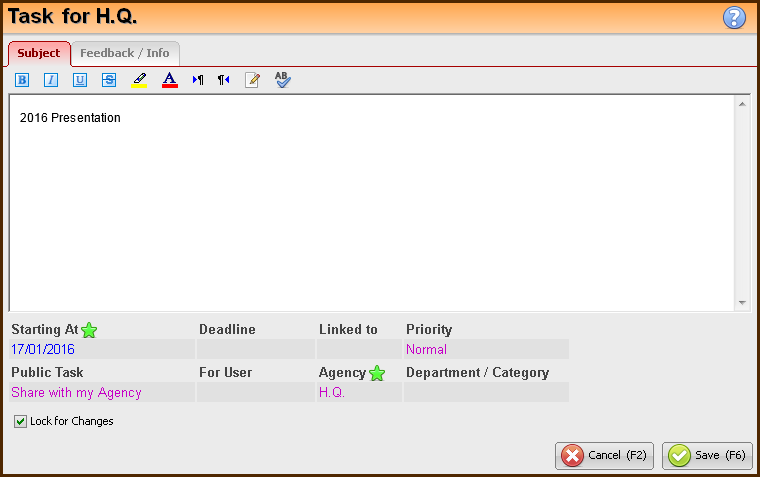 The "Agency" and "Department" fields, are available due to the definition of the "Public Task" fields. The task can be locked for changes by checking the Lock for Changes checkbox. The details fields are described at the bottom of this page.